Bittner Builders is proud to serve the Dayton area with quality craftsmanship and innovative design that will turn your home into a showcase you'll be truly proud of. Our design/build services are reliable and painless. We offer a complete range of services all the way from complete home renovations to small repairs. You can count on Bittner Builders for . 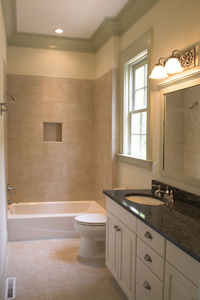 . .
Our team at Bittner Builders is committed to your complete satisfaction. Our goal is to care about your home every bit as much as we care about our own. Call Bittner Builders today to arrange for a free estimate. You can reach us at (937) 298-1507 or by email, mike@bittnerbuilders.com. Serving the Miami Valley: Dayton, Kettering, Centerville, Beavercreek, Washington Township, Springboro, Miami Township, Fairborn, Riverside, Huber Heights, Tipp City, Vandalia.